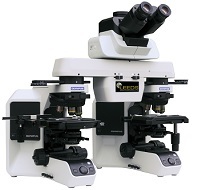 The LEEDS Forensic LCT-S is a comparison microscope dedicated for students for trace evidence such as paint chips, fibres, hairs. The LEEDS Forensic LCT is a comparison microscope dedicated trace evidence such as paint chips, fibres, hairs. The Refractive Index measurement system from Laboratory Imaging provides precision RI measurement using the oil immersion method. TrasoScan by Laboratory Imaging is a versatile system for examination of shoeprints, fingerprints, documents and other flat surfaces. Shoe soles and objects up to 22 cm of height can be scanned too using a close up lens. The NeoScan and Zeescan systems from Phase View converts a conventional microscope into a 3D imaging system without the need for moving the objective or expensive microscope stages.